One of the dangers in discipleship ministry is an inordinate focus on methods. 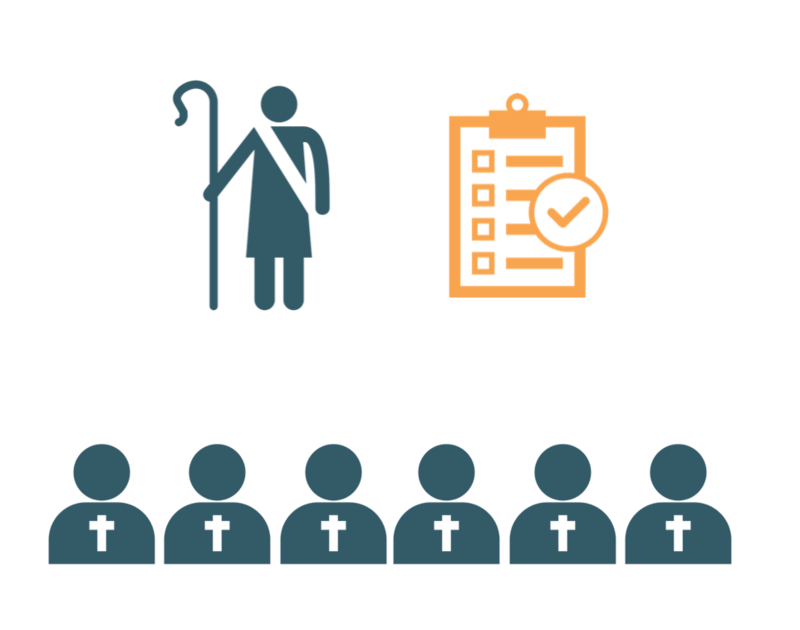 The focus of most discipleship curriculum is on methods, strategies, and techniques for making disciples. The problem is that methods are not universal and methods that work well in one situation, often do not work in others. We need to understand essential principles regarding discipleship that are rooted in the Bible and universal in application. Principles represent an objective reality that transcends cultural contexts. Drawing on these principles, we can work with people in our unique situation to help determine the most effective discipleship methods. Let’s examine a few of the principles. One of the most foundational principles regarding discipleship is recognizing God’s sovereignty. There is no simple template for discipling people. Everyone does not become a mature, devoted follower of Jesus Christ in exactly the same way. Our sovereign God moves in mysterious ways to raise up devoted followers of Jesus for his church. Nevertheless, there are some valuable generalizations which can and should be made regarding the best means for discipling Christians. Another foundational principle regarding discipleship is rooted in the grace of God in the gospel. Jesus commanded us to take up our cross and follow him in radical obedience. But there are wrong motivations for obeying Jesus’ commands, such as out of sinful fear and pride. While this kind of obedience may look good on the surface, it’s superficial and doesn’t ultimately result in transformed lives. Biblical discipleship presents the person and work of Jesus as both the motive and means of obeying his commandments. Christianity is not an external, self-help religion. It is a community of people who are in relational union with God through Christ and who are being renewed from the inside out by his Spirit as they keep drawing near to him in repentance, faith, and obedience. God normally develops his disciples in community, more particularly in community of his visible body, the church. At its core, Christianity is a communal religion. This doesn’t mean we should downplay the importance of individuals coming to saving faith in Jesus Christ and having a personal relationship with God. But we must be concerned about an unbiblical view of the Christian life that is mostly personal and individualistic. Therefore our plan for the discipling believers should be church-centered. It should include the ongoing experience of Christian community with a high priority on the believer’s relationship with a local church body. The primary means God provides for discipling followers of Jesus is not discipleship curriculum. It’s the biblical means of grace. This includes the preaching of sound doctrine, the proper observation of the Lord’s supper and baptism, and prayer, all under the nurture and shepherding care of local church leaders. But devoted disciples do not normally develop on their own in a church body. Instead they are most often developed in the ongoing give and take of face-to-face relationships with more mature leaders. Frequently, as is seen in Scripture and the subsequent history of the Church, God uses mature leaders to nurture the growth of emerging disciples. This is not to denigrate the value of disciples learning from their peers. In fact, peer mentoring is also an effective way to make disciples. However, people usually grow in wisdom through the guidance of those who are more experienced. In previous periods of history very natural relational and vocational networks typically allowed younger, less experienced people to be apprenticed or mentored. This allows for more personalized discipleship. The personal background and life experiences of disciples vary broadly. Some may have a high degree of personal and spiritual maturity early in their Christian life, while others are very immature personally, spiritually and theologically. Each individual Christ-follower is unique and is therefore best discipled by processes that can be as individualized and personalized as reasonably possible. Emerging disciples must be renewed not only in their understanding (knowledge) but also in their heart affections (motivations) and behaviors (actions). These three emphases of head, heart, and hands are not unrelated. Instead, they are inseparably interwoven ways of learning. For effective discipleship to happen, there is a need to integrate all three. Developing believers in knowledge, skill, and character is accomplished most effectively when the goal of that development is clearly expressed. The more precise the “final product” of a mature Christian can be described, the better emerging disciples can be nurtured toward that goal. Later we’ll take a look at the marks of a mature disciple. One of the primary reasons many churches are not making mature disciples is because they don’t have an intentional plan to make disciples. Or they may have a plan, but it’s outdated and not working. Next, we’ll begin to examine practical ways that you can develop an intentional discipleship plan that is effective in your unique situation. Sign Up for the Discipleship Course!